Some of my friends often wonder how I manage to know about almost anything under the sun when sitting in front of my laptop. When I told them that I use the Google search engine to mine out relevant information, they just couldn't believe it. The reason was simple. Each one of them uses the same and still struggle to come up with the needed search results. In simple words, two people using Google search can end up with different information when searching for the same data. This popular search engine is immensely powerful and all you need is to learn how to use it like a ninja. Once you get hold of it, you can find out almost any information through it. We're going to learn some of the best and easy-to-learn tricks to get more out of our Google search results. This will enable you to solve day-to-day problems. You'll be surprised to know that it's more than just a search engine. So, let's get started and brush up some of the best Google search techniques. Open a new tab in your browser and let the beast come out. While searching on Google, one must be familiar with the core search operators that enables you to easily enhance and filter the results. These operators are simple-to-use and one can master them within minutes. We'll start with some examples to help you quickly grab the usage of these operators. Common symbols - We'll start with the most widely used symbols power users often include within search queries. These symbols augment the query and help in getting a more relevant result set. So here we go to check all these symbols one by one. This returns me a result page where each page link is listed having the keyword within its content. Try it with your name or your favorite brand and you'll start getting social sites pages where your name or the brand name has been tagged in some way or the other. The following query will prioritize listing of all Nikon cameras (both sponsored and organic results) which are less than or equal to $600. The query tries to fetch the latest trending result sets for that specific hashtag giving you the most recent information about the same. Dash symbol (-) : This is a powerful exclusion operator I often use to filter my result sets. If you want to filter out unnecessary junk from a large result set, use this symbol as follows. The query shown above will display different products made by Nestle except noodles. You can use your imagination to use this symbol in an intuitive way for better results. The first query shown above will display any web page containing the phrase in its entirety with the exact match. The second query will list only those pages from Yahoo! website which has the phrase 'pros and cons' within their content. "how to * while * alone"
This query will match any keyword or phrase making literally infinite combinations of the same sentence. For example, it will match both 'how to sleep while traveling alone' and 'how to run while descending alone'. Use the query shown above to find laptops ranging from $550 to $900. You can use it for almost any product. Try to use generic name of the product to get options from all the popular brands. Search operators - For user's convenience, Google offers some very useful search operators to easily mine information from within websites. You can use them to find information about your competition. Following is the list of these search operators. This query is going to show web pages including the keyword 'Windows' but will filter out (due to dash symbol) all results from Microsoft's site. Use this query to find out websites linking to Yahoo! primary website. Remember, it is just an indication of linking websites and one must not use it for SEO purposes. This query is going to list websites who broadly cover web development, front-end development, and related topics. In simple words, their content will closely match with Smashing Magazine's website. This query will list those web pages which either has the keyword 'fermentation' or include the phrase 'dried yeast' within their content. This search operator will give you quick links for fetching cached version of the website, sites linking in, sites using Yahoo keyword, and much more information about Yahoo! website. cache: operator - Webmasters often use this search operator to view the cached version of the website. Its use is very simple as shown below. This query will fetch the latest cached version of the website which was saved when last time Google's crawler visited and indexed the site. This query will display all the posts written by the author regardless of the domain name they exist on. Do once try it with your own name. This query will list all the web pages having either 'SEO' or 'guide' included in their URL. It's a handy way to filter out URLs related to a specific subject. This query will list all the web pages which contain at least one link containing the word 'crib'. You can also specify a phrase instead of just a word. How to do that? I leave it as an exercise for you. We've used an exact match query for finding out all the web pages having that specific phrase in their page title. If you're a frequent traveler, use this basic map display facility to get a macro view of the area. If you want detailed guidance, of course, you should switch to Google Maps. To display a map of a country, city, or an area within a city, use the following query structure. This query will display the following result. You can even display a map of a locality, suburb or a colony within a city to get a more exploded view with more details. If you're a financial analyst, use this powerful operator to instantly fetch stock details of a company. Use this operator as follows. You can see that apart from displaying stock details on the left, one also get summarized company information on the right side. Simply specify the city name after the 'weather:' operator and you'll get the following result. The weather details include temperature, humidity, precipitation, the wind direction, and overcast conditions for up to one week. This query will give the following result. Students and people whose native language is different can use this operator to enhance their vocal and writing skills. This query will open a converter to show how many US dollars' equals to British pounds. Once opened, you can enter a custom amount to get the converted sum using the current exchange rate as shown below. This flexible and handy converter can help you calculate different currencies from around the globe. All you need is to know the currency abbreviation. This statement will open a calculator as shown below. Once opened, you can click the buttons of the calculator to do unlimited number of mathematical calculations. It's weekend time and you want to watch one of your favorite movies currently running in a theater in your city. How to get the details for the same? Well, use the following search operator as shown below. The operator is followed by the movie name. It gives the following results. As you can see, apart from getting the current theater details for the current city, a user can also change the location to find the timings for his preferred city. And lastly, I'd like to list a very handy search operator that allows you to find out different types of files consisting of your search phrase. To understand it better, take a look at the query below. This query lists all the indexed PDF files which are about SEO or contain the word 'SEO'. It's handy for finding out files types associated with a specific subject or domain. You can use both 'filetype:' and 'ext:' search operators for specifying the type of file you're looking for. 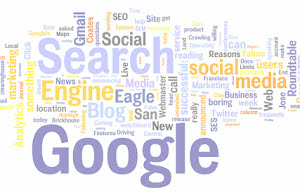 If used smartly, Google search engine is one of the most powerful tools available online for increasing your knowledge and wisdom without putting any strain on your gray cells. Try out all these operators and learn how to combine them to form complex queries to further enhance your search queries. If you're familiar with more interesting Google search tips, feel free to share them with us for the benefit of the community.